The Ocean at the End of the Lane marked Neil Gaiman’s first adult novel in almost a decade, news which obviously left his readers and fans both nervous and excited. Much noise was made about the fact that the novel was much shorter than we’ve come to expect from Gaiman with a hefty price tag alongside, but I (like many others I’m sure) decided to buy it anyway. The Ocean at the End of the Lane is a truly magical tale of childhood and memory. It creates a sense unmistakeable nostalgia as the protagonist deals with all those things children have to go through and try to understand in order to grow up and lose your innocence. 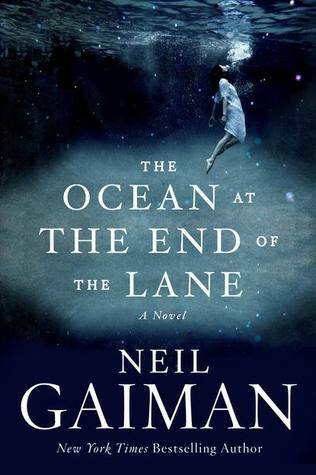 Gaiman catches you with his imagination from the first page of this novel and doesn’t let you go until the very end, creating memorable three-dimensional characters. Lettie and her family and glorious and charming, and although magical in almost every sense of the word they are somehow three-dimensional characters you can relate to throughout. Gaiman fantastically ties in ‘real world’ to ‘magical world’ and there are some real great fantasy moments throughout the book. Similarly the ‘real world’ moments are grounded in emotion and sadness, including some very upsetting scenes that made me close the book and think for a little while. I would honestly recommend this book over and over again. Neil Gaiman is a fantastic writer, and if you’re worried about the length of this book don’t be – by the time you get to the end you realise it is exactly as long as it needs. The end is fantastic and is a real testament to how not everything has to be ‘happy’ in order for it to be the perfect ending. I love Neil Gaiman, but this seems so far removed from his usual style that I'm a bit hesitant. I've read only lovely reviews, though, so I think I should get on and read it. I'm sure it's great! I keep hearing such great things about this, will have to read it very soon I think!